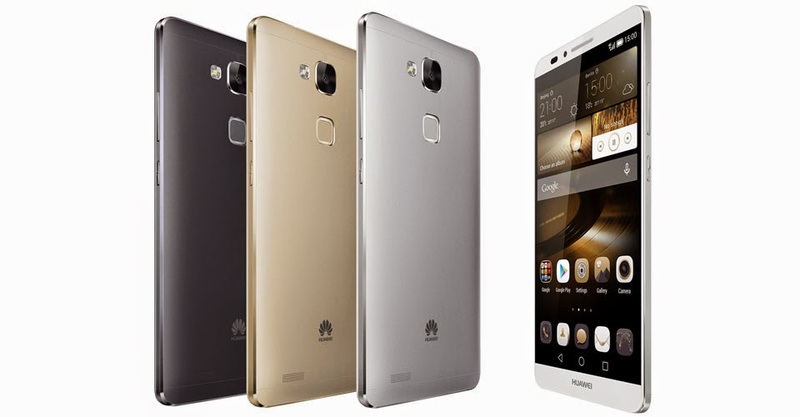 Huawei at IFA 2014 introduced a new member to its Ascend Mate line of phablet, the Ascend Mate7. Although it's the third member in the family, the Ascend Mate7 (oh yeah! skipping in the model number too) sports a slightly smaller 6 inch display in comparison with the Ascend Mate2. This new phablet comes with a more faster and convenient single-touch fingerprint scanner, which located on the rear of the phone, look similar to the HTC One Max. 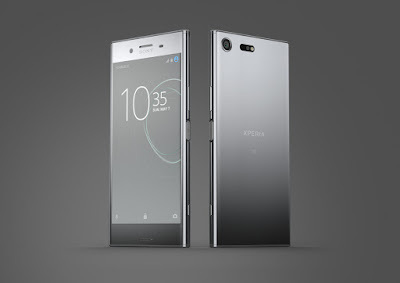 The 6-inch device is build up with up to 95% metal and an ultra-slim 2.9 mm bezel lead to a 83% high screen-to-body ratio. 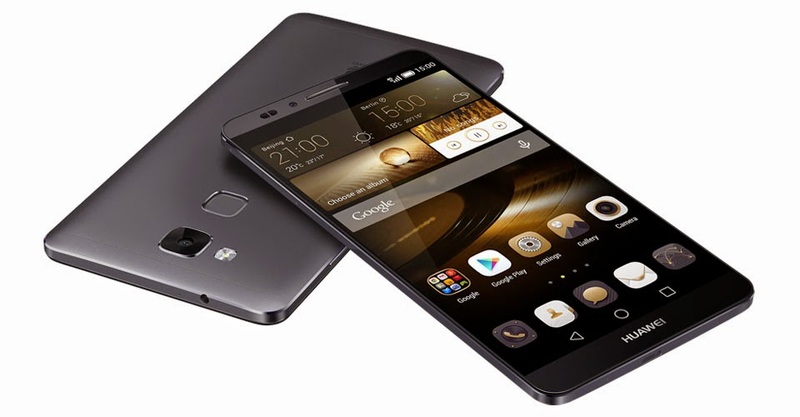 The Ascend Mate7 equipped with a large 6 inch Full HD 1080p display with 368 pixel per inch and protected by a layer of Corning Gorilla Glass 3. It is powered by the company's very own Kirin 925 Octa-core SoC consists of Quad-core 1.8 GHz A15 and Quad-core 1.3 GHz A7 CPU, 2 GB or 3 GB of RAM, Mali-T628 GPU, i-3 sensor management unit and a LTE Cat6 modem. Huawei packs a 13 MP camera with Sony fourth generation BSI sensor and f/2.0 aperture, along with a 5 MP front-facing camera into the Mate7. In addition, Huawei also able to squeeze in a huge 4,100 mAh battery inside it despite the slim 7.9 mm body. 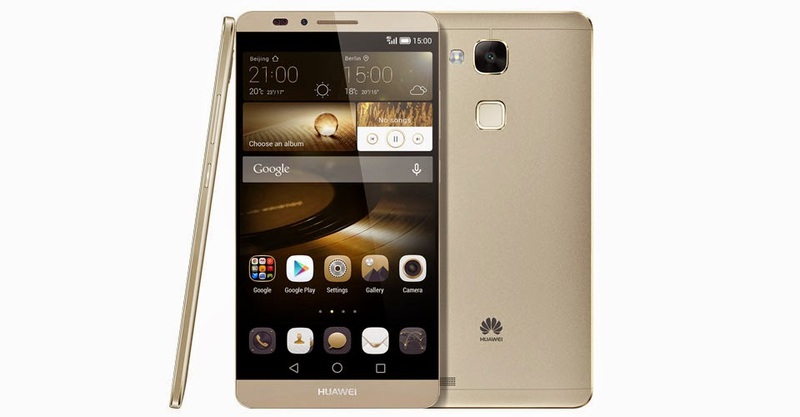 The Ascend Mate7 runs on Android 4.4 on top of Huawei Emotion UI 3.0 and comes in Silver, Black and Gold. The Ascend Mate7 will be roll out later this quarter in more than 30 countries, including Malaysia as the first available market. The Mate7 available in two variants: the standard model (2 GB RAM and 16 GB storage) priced at €499 (around RM2,100) while the premium model (3 GB of RAM and 32 GB storage) has a price of €599 (around RM2,500); Both versions will support microSD card as well.